Bak Kut Teh for us has always been a treat since childhood. My family stayed in the Whampoa area when I was a small boy, which is not far from Balestier Road, whose shophouses are dotted with Bak Kut Teh shops, all claiming to be the “most original”, the “most authentic” or the first to set up shop here. Whichever the case, I’d never eaten at any of these Bak Kut Teh joints when I was young because the price was really prohibitive. 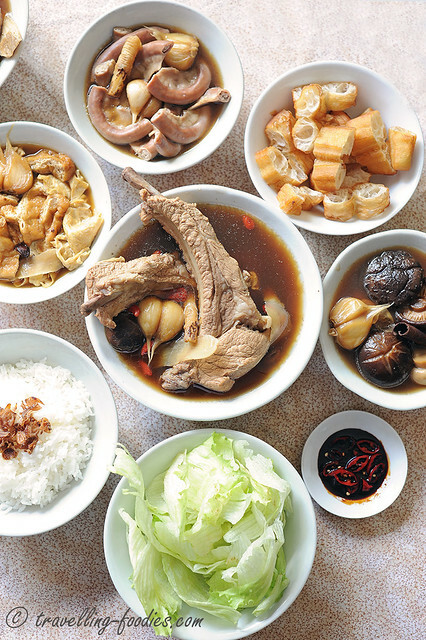 The cost for a bowl of Bak Kut Teh with rice for one could easily settle dinner for my family of four at the Whampoa Hawker Centre nearby. Moreover, my mum always cook our meals which is more economical, not to mention homely. Soup is a big thing in our family but usually kept very simple. It would be cabbage, peanuts or black beans cooked with some chopped pork ribs or lean pork and chicken feet. Once a while, when spare ribs were more affordable and the costs more bearable, my mum would cook Bak Kut Teh, using pre-mixed sachets from the neighbourhood grocery store. So my childhood impression of Bak Kut Teh has always been really peppery and somewhat savory, which I got to know later on as being “Singapore-Teochew Style”. When I learned about the Hokkien style Bak Kut Teh from Klang Selangor, I remember being quite fascinated by it. 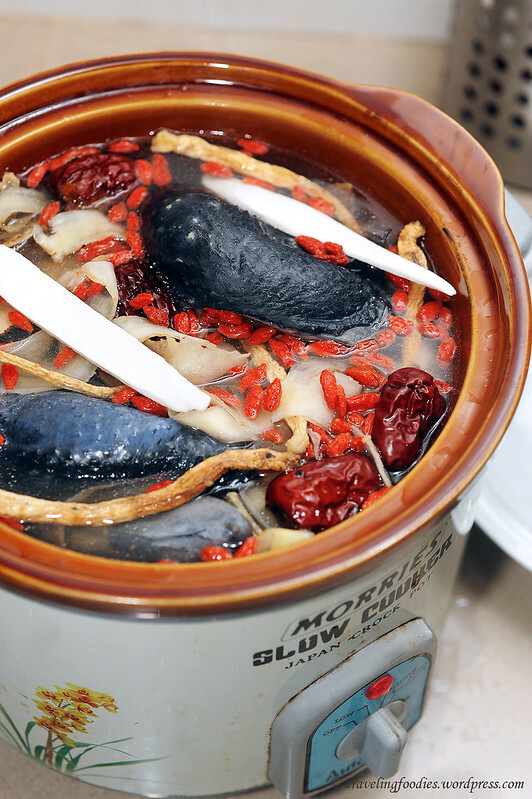 The idea of a Chinese herbal soup is not alien to us. Mum cooked a variety of traditional soups using Chinese herbs all the time, mostly for their medicinal properties to cure certain minor ailments or boost our “qi“. But the herbs used, together with their beneficial effects, not to mention bitter taste are the key components of the concoction while any meat, be it chicken or pork added to form a broth simply act as a vector. So for the pork ribs to take centrestage and soya sauce subsequently added into a soup, the idea was quite mind-boggling. So when Selangor MFF was announced, I knew I have to try to cook the Hokkien-style Bak Kut Teh, a delicacy which Klang is mostly known for, not only by the locals but also foodies from other states in the Peninsula as well as folks from as far south as Singapore. My parents, being really traditional chinese folks, are firm believers of the effects of traditional chinese medicine (TCM). That meant an assortment of remedies in the form of brews and stews to shelf-available medication for minor ailments, like 川贝枇杷膏 chuan bei pi pa gao for coughs and sore throats, 银翘解毒片 yin qiao jie du pian when we are feeling slightly feverish, or 保济丸 po chai pills when one’s having the runs. 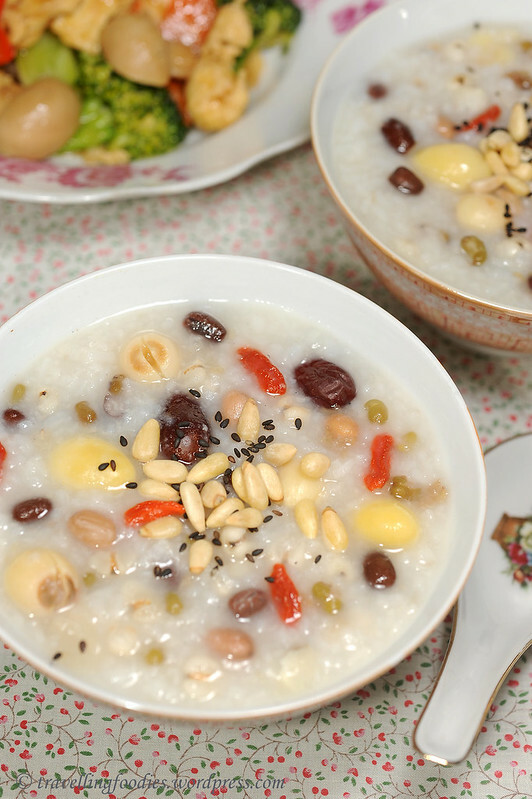 Some of these concoctions are really quite pleasant, like 炖燕窝 bird’s nest soup and 三雪湯, a sweet soup made with hasma (雪蛤), snow fungus (雪耳) and chinese pear (雪梨）which not only nourishes the body, but taste good too! I really didn’t mind when asked if I want seconds. But some are quite dreadful, like 苦茶 ku cha, which literally translates to “bitter tea”, owing to a mélange of chinese herbs used, building up to that ultimate palate experience of extremity, and 羚羊露 leng yeung luk, essentially made from water double boiled with antelope horn shavings, in my opinion is another epitome of disgust. Now these are the things that ought to be featured on “Fear Factor”! But as the classic Chinese saying goes, 良药苦口利于病, most of these awful-tasting TCM are downed amidst all that whining, wailing, coaxing and even bribery for sweet treats later on. One of the most common TCM herbal soups we enjoyed at home is 药炖乌骨鸡 Herbal Silkie Black Chicken, especially during this time of the year when the weather turns slightly chilly accompanied by lots of moisture from the monsoons. Older folks believe that it is important to prepare the body for such “changes in season” and strength one’s constitution so as to prevent ourselves from falling sick，and hence the practice of 立冬进补. I hadn’t been sleeping well of late and as I was getting ready for a holiday to Taiwan, I wanted to make sure that my body was ready to brace all that walking, shopping and eating. Hence, a little “treat” for myself and my family with this familiar soup which hadn’t been made for quite some time at home.